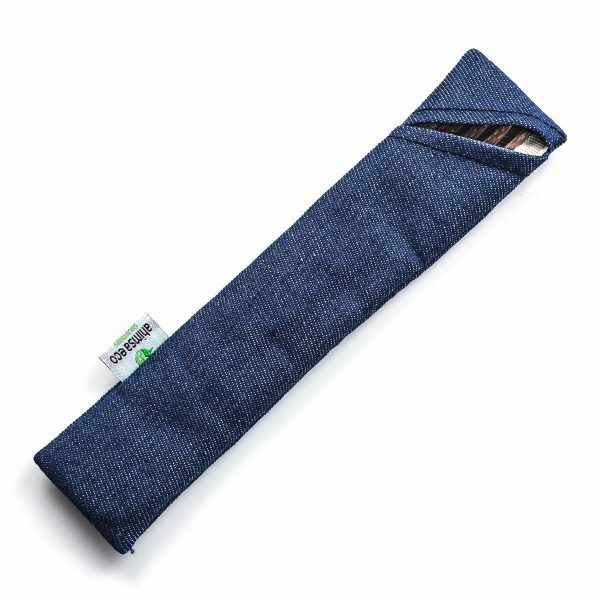 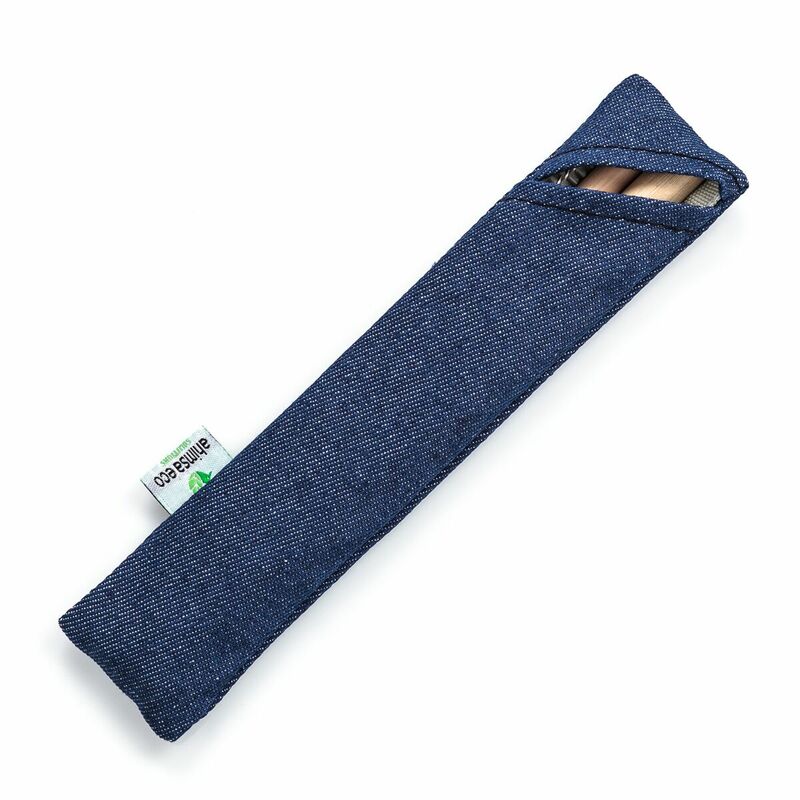 A great alternative to disposable plastic straws, our upcycled denim sleeve straw kit is all you need to be eco on the go for drinks…help the planet with every sip! 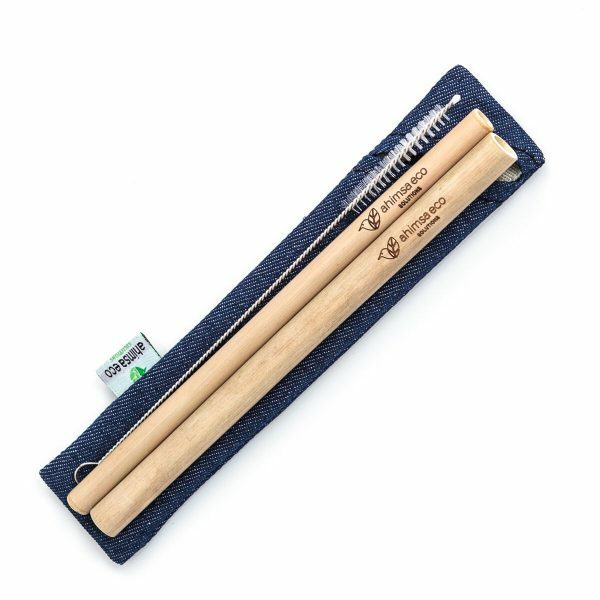 Most bamboo straws are either raw and uncoated (they get moldy on the inside very quickly, often after only a few uses), or coated in a lacquer. Ours are better: they’re disinfected in vinegar, polished on the inside, and then soaked in a proprietary herbal solution for long-lasting bacteria- and mold-fighting awesomeness! Bamboo is a highly renewable, eco-friendly resource, able to grow at up to 2 feet (0.6 metres)/day under optimal conditions. 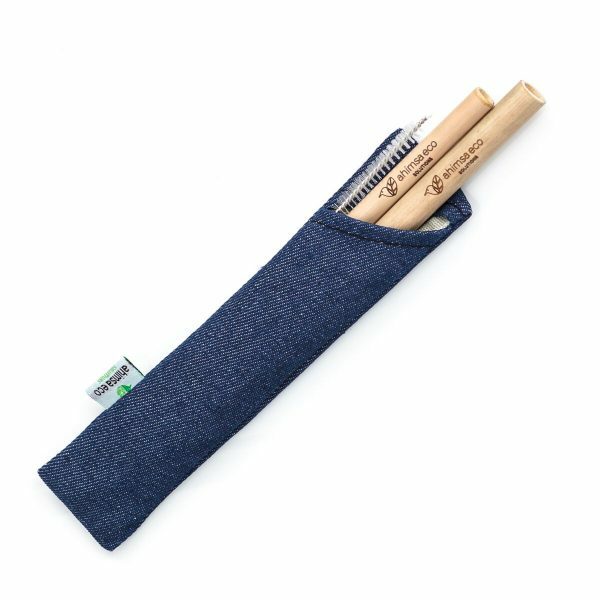 Bamboo is harvested without killing the plant, and it can be grown without the need for pesticides.